Few artists are as extraordinary as Claptone. With a knack for the theatrical and a career shrouded in mystery, researching Claptone can often raise more questions than it answers. Ahead of his headline appearance this Saturday, we attempt to chart his journey to superstardom and highlight some of the most significant talking points from his spiralling career. For an artist with such an iconic look, it's unusual perhaps that when Claptone first emerged the visual identity was as stripped back as on debut EP She Loves You. The plague doctor mask was nowhere to be seen, but the tracks were straight fire. Almost immediately, fans began to look for answers from the faceless producer, but as time went on the mystery would only grow. After debuting the remix on his Essential Mix, Claptone's take on the Gregory Porter original went on to top the Beatport chart. Success wasn't just a oneway street, however, as jazz magazine, The Jazz Line would note that the remix prompted music lovers to seek out more of Porter's work. Porter's Liquid Spirit album was certified Gold in the UK, in part due to the popularity of the remix. The first full body of work from the mind of Claptone. Charmer is one of the key releases from the Deep House revival of 2015. The 13 tracks within would go on to become the bedrock of Claptone's Immortal live show. 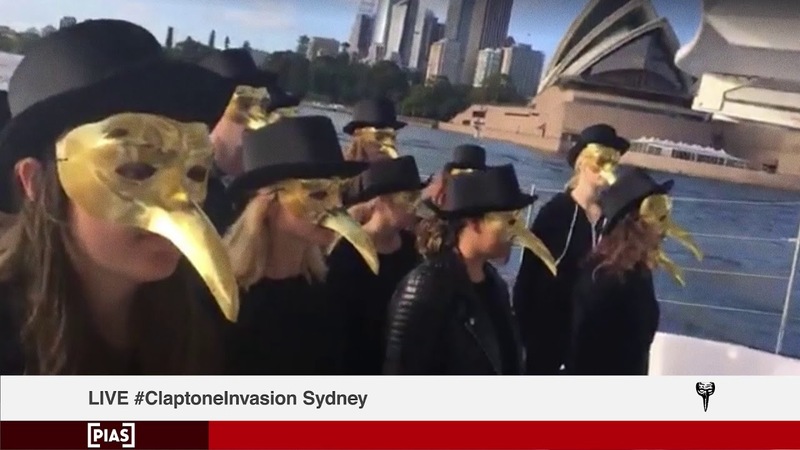 After months of speculation and reports of Claptone DJing in two countries at the same time, Claptone finally wowed the world be unveiling that there are at least two people behind the mask. The duo appeared for the first time at Coachella Music Festival in 2016. Whether more men answer to 'Claptone' remains to be seen. Undoubtedly one of the most impressive album reveals in dance music history. The prank involved a mysterious find at an archaeological dig in rural Ireland and culminated in mask-wearing gangs descending on capital cities around the world. Claptone will be joined by Waze & Odyssey a Prok | Fitch on Saturday 22nd March, get tickets & more info here.